Are you excited about Halloween? Are you ready for all the ghosts and goblins to come out this week? So are we! CVS/Pharmacy is here to make sure you have all the last minute Halloween supplies you need! Go by this week and check out their selection of costumes and costume accessories like makeup, masks, colored hairspray, and more! And also stock up on all your last minute decor, trick or treat candy and treat bags! With the help of CVS, I am happy to present this Halloween Survival kit to you. 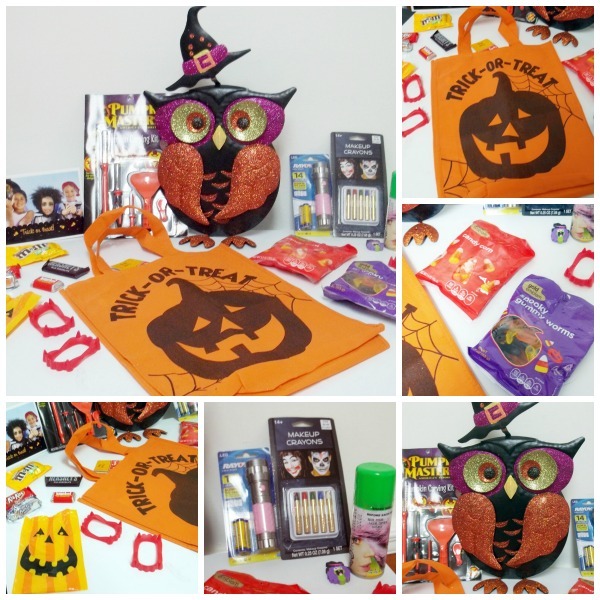 It includes a super cute decorative owl, a pumpkin carving kit, flashlight, Halloween makeup and hair spray, vampire teeth, a trick or treat bag, and Halloween candy. The kit is just a small sampling of what’s available this Halloween season at CVS. Giveaway! 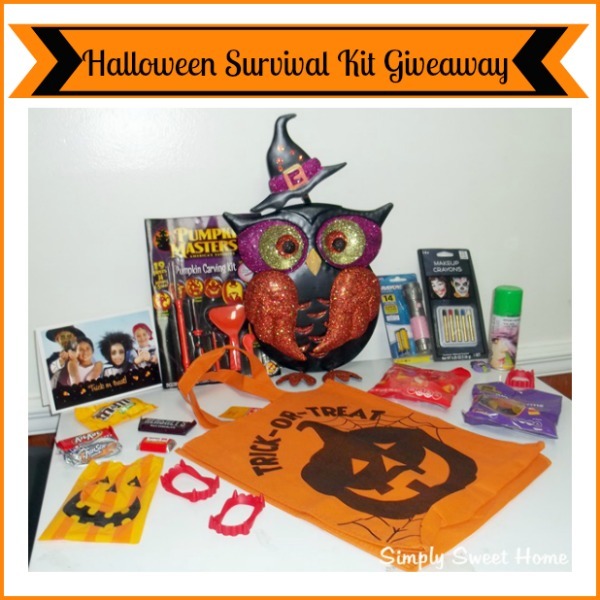 CVS is offering one Simply Sweet Home reader a Halloween survival kit like the one pictured here. To enter, please use the Rafflecopter form below. Good luck! Disclosure: Prize pack will be provided by CVS. I received the items featured here for review. However, the opinions are my own. I loved being a witch as a child! My favorite costume was the Pink Panther.